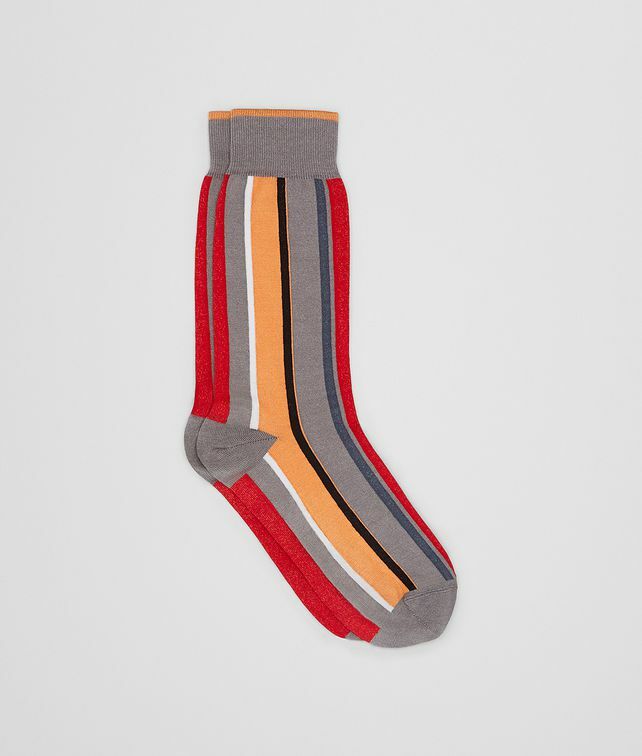 These socks embody the inspiration of the Fall/Winter 18 collection: the bold sensibility of the New York City man. Made of cotton, the variegated stripe socks are designed to pair with the richly hued BV Trinity loafers for a true statement. Or wear them to add a pop of colour to traditionally neutral shoes.